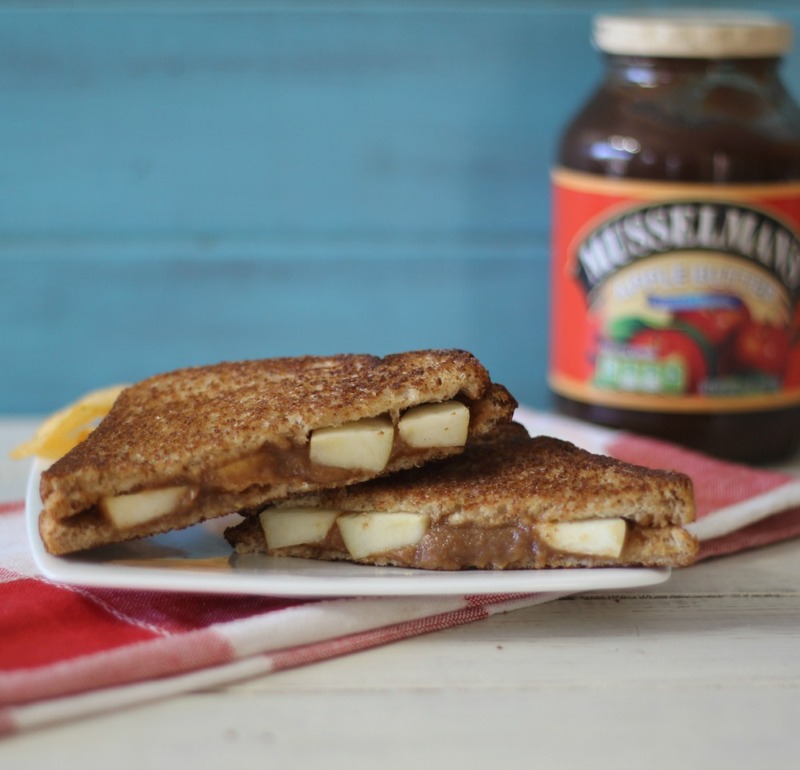 Today I teamed up with one of my favorites, Musselman’s Apple Butter! You know how much I love Musselman’s Apple Butter with such recipes as Apple Butter Bread with Maple Apple Butter Dip, Southwest Apple Butter BBQ Sauce, and Grilled Chicken Wings with Sweet and Spicy BBQ Sauce and now my newest creation; Peanut Butter and Apple Sandwich! I guess you can tell I have been on a sandwich kick lately and boy is this a good sandwich! 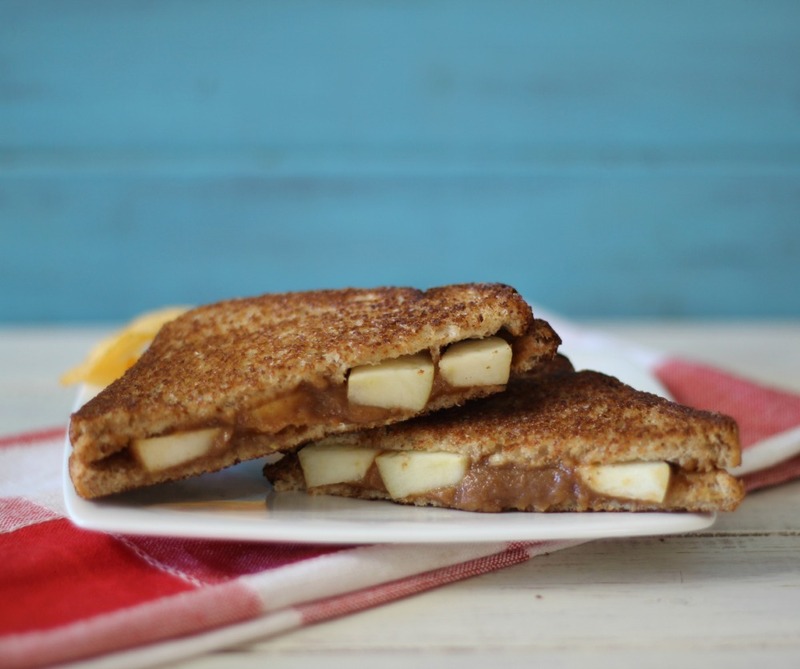 It’s got a perfect blend of peanut butter, apple butter and the crunch of freshly cut apples. It makes for a wonderful lunch and a great spin to traditional peanut butter sandwich. I just love it!!! Plus as a bonus not only did I make this fabulous sandwich, but I also got sent some GORGEOUS flowers from Musselman’s Apple Butter! The card attached said Happy Spring. 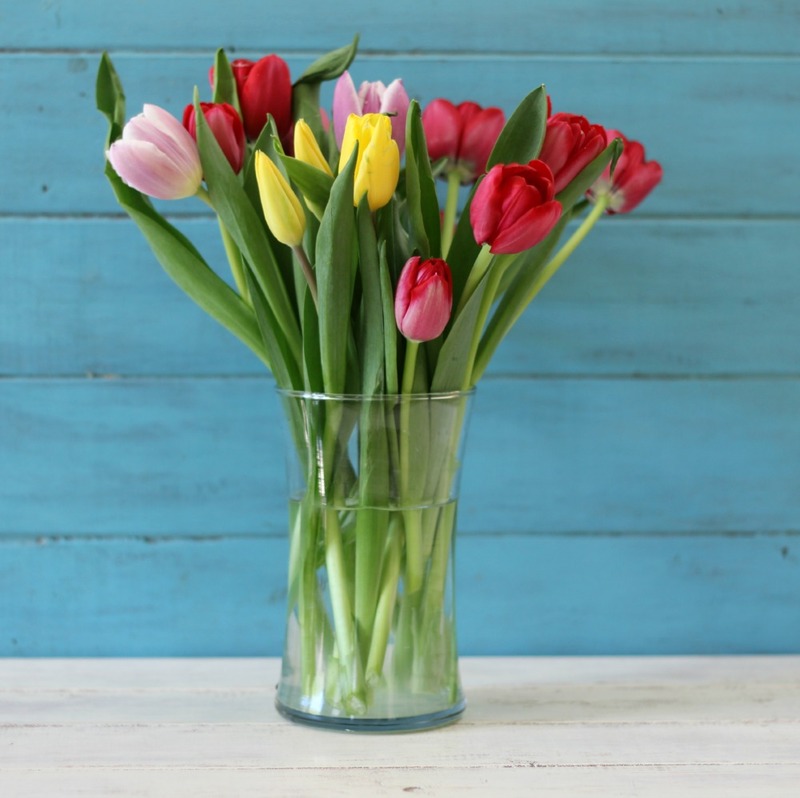 I kind of have a thing for flowers and nothing brings spring to your home more than a fresh bouquet of flowers! The tulips came in a beautiful arrangement of colors. I just love the dark pink, it’s my favorite color!! Thank you Musselman’s Apple Butter for sending them to me!! I LOVE them!! Now back to my sandwich! To cut down on calories and to make the sandwich healthier, I used whole wheat bread and cooking spray instead of butter when I grilled the sandwich. I know it sounds a little off, but trust me, you get a nice crisp sandwich with a wonderful flavor. I have to say this is my new favorite sandwich and I am so glad I have a big jar of apple butter to make a ton of these sandwiches! 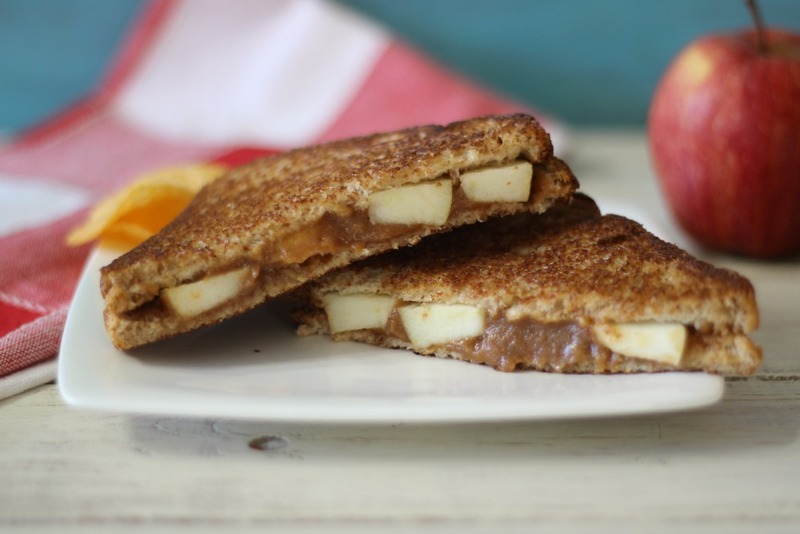 A whole wheat grilled sandwich made with peanut butter, apple butter and freshly sliced apples. In a small bowl, add Mussleman's Apple Butter and Peanut Butter; mix until combined. Spread mixture over one slice of bread. Top the mixture with the sliced apple and then top the apples with the other slice of bread. Spray a skillet with cooking spray and place over low heat. Add sandwich and spray top of sandwich with cooking spray. Cook until lightly golden on one side. Flip and cook until lightly golden on other side. 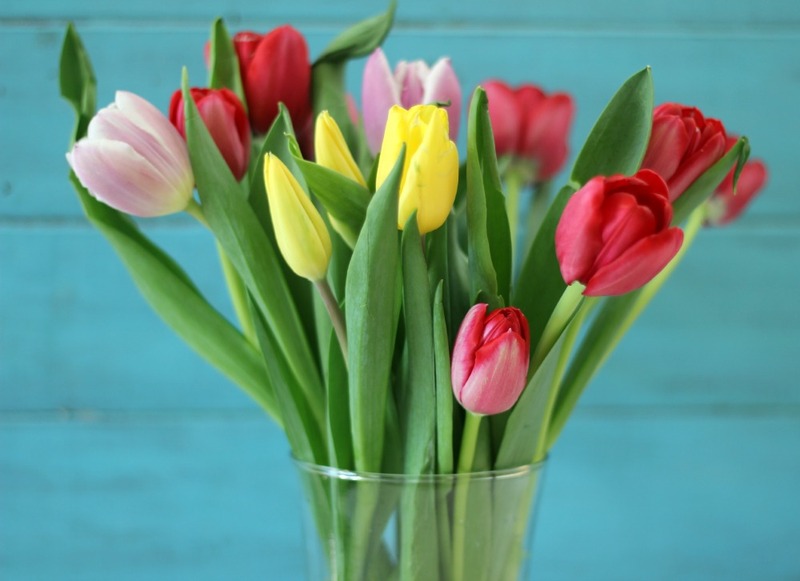 I wanted to let you know if you want to send flowers, say for Easter, birthday, anniversary or just to make someone smile, I have a discount code for you that will give you $10.00. How nice is that? 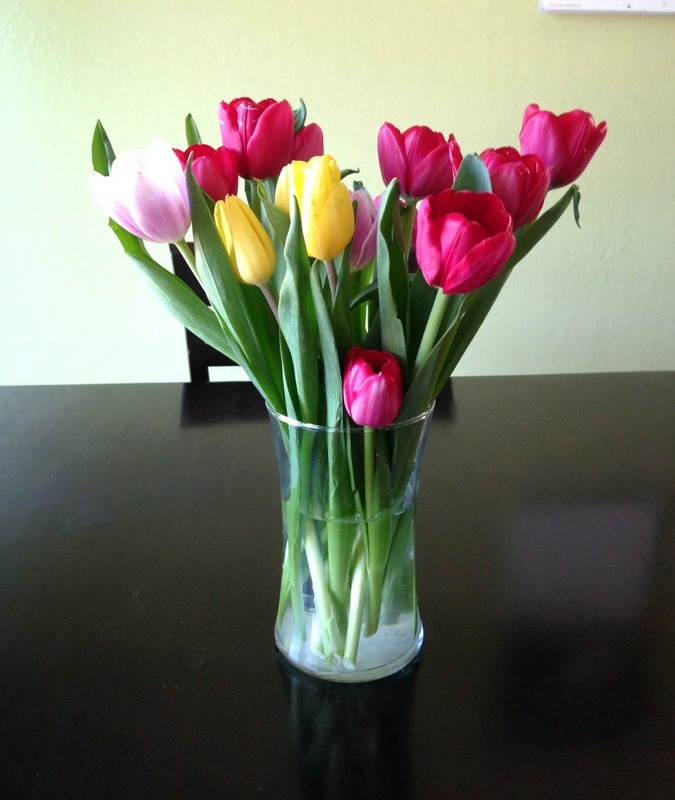 Then you can get flowers of your choice or The Rush of Color Assorted Tulip Bouquet like I got. 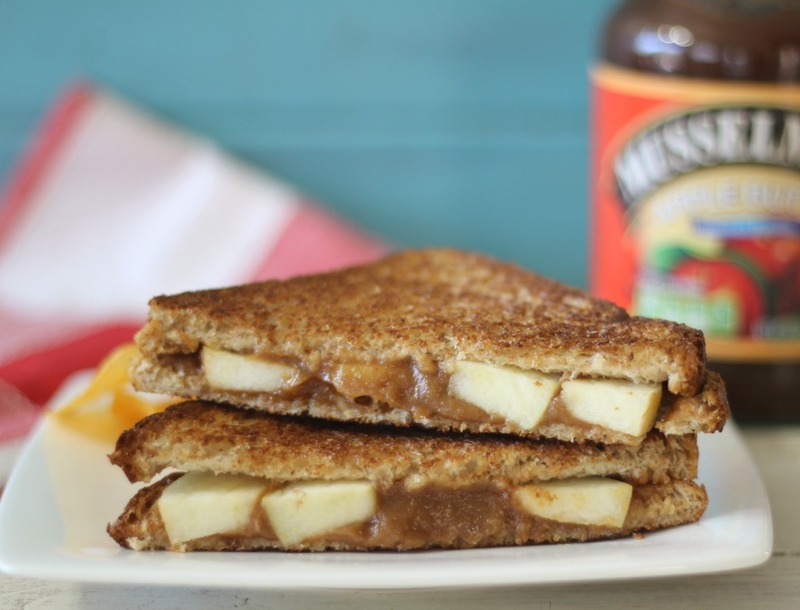 Just go here and you will get $10 off thanks to Mussleman’s Apple Butter! This is a sponsored post from Musselman’s Apple Butter. I received a jar of Musselman’s Apple Butter and a bouquet of flowers for this post. All opinions are my own. I kind of love that this sandwich has DOUBLE the apples! So good! Thank you Joanne! It’s so easy to make and so loaded with flavor! I love these kind of sandwiches too!